What the press and media say about Fairlie's projects. Toby Hodges takes the Fairlie 55 for a spin on the sunny Cote d'Azur. Dan Houston joins the team on board the Fairlie 55 for a day's racing to St Tropez. 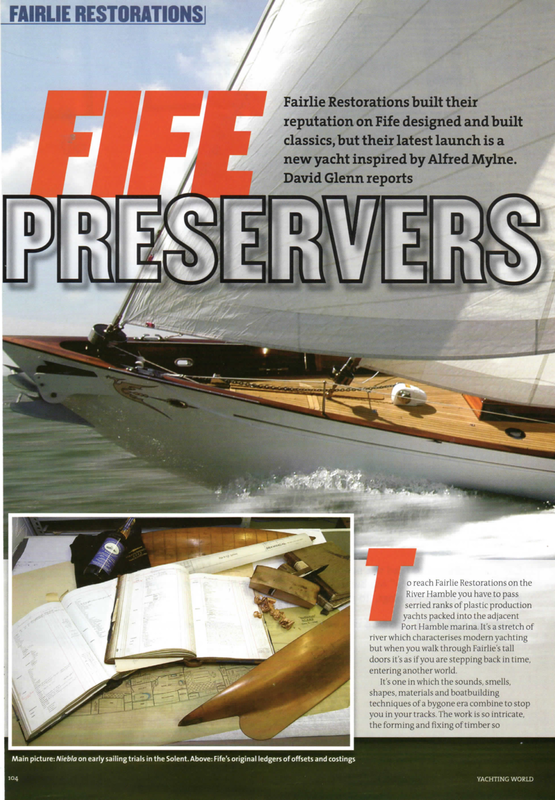 David Glenn explores the first in Fairlie's range of modern classic yachts. Jonty Sherwell goes for a training day sail in the Solent. Tom Cunliffe joins the crew onboard for a spot of racing in the Med.